Kiwi Fashion Blog: Hi Mister Lapis Arty! 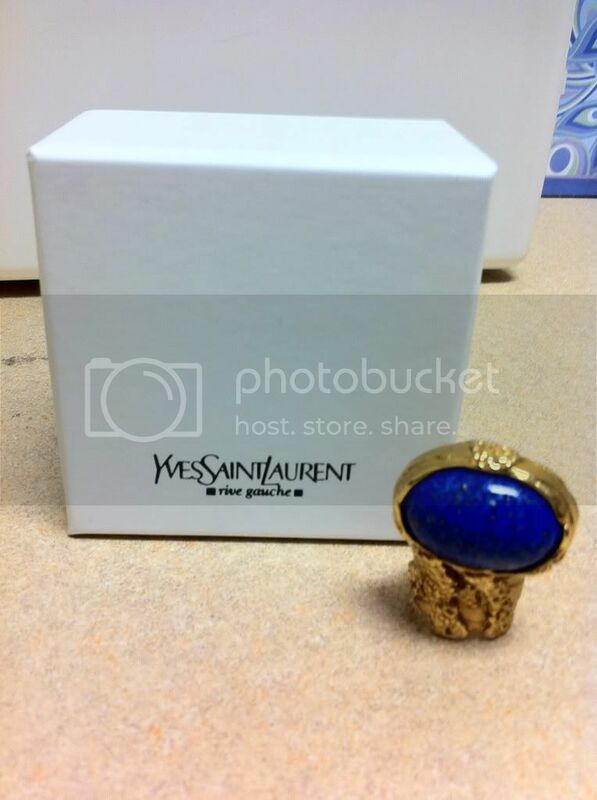 The YSL Arty ring has been all the rage amongst bloggers and alot of The PurseThe Purse Forum (TPF) girls. I was never into custome jewlery but over time this design has grown on me and I have decided to try it myself. 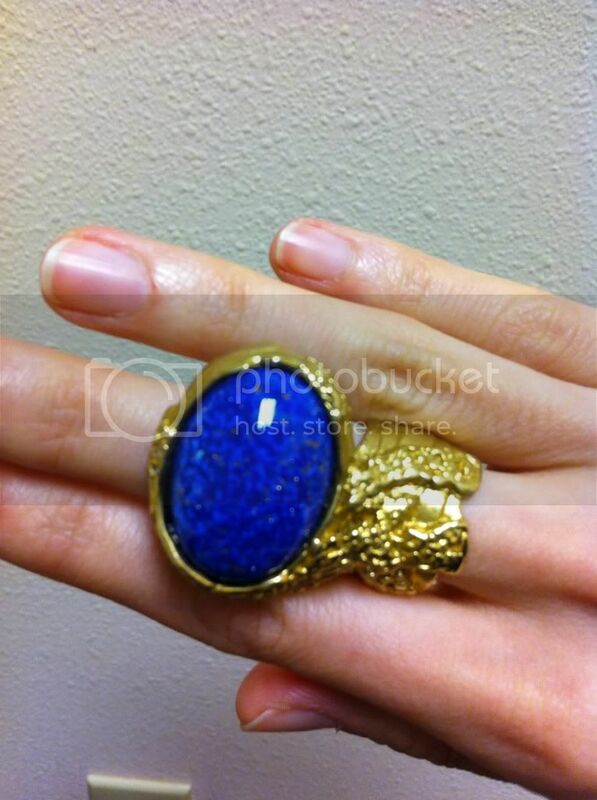 After searching high and low for the best colour as my first one, I settle for this gorgeous Lapis (glass) with antique matt gold ring. I have very skinny fingers and after reading various reviews to size up on this design I opted for a size 5. 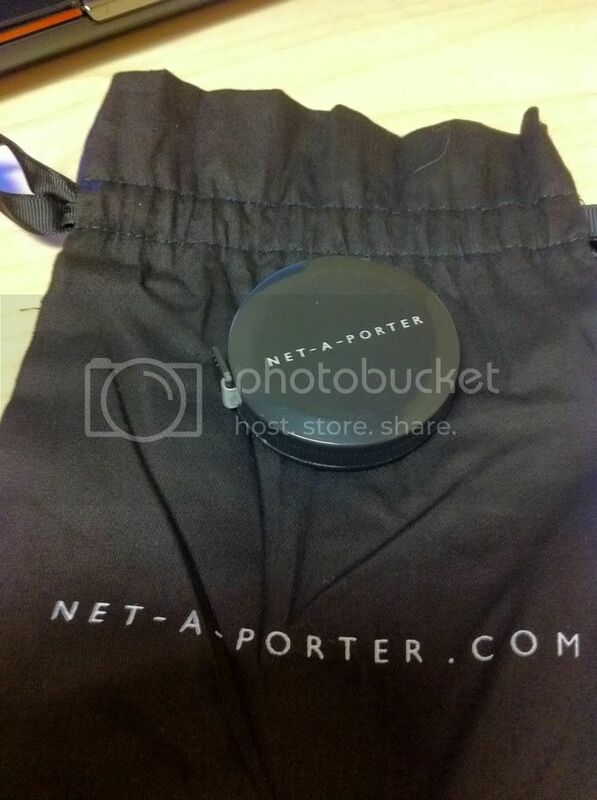 What I found is a bit odd is the invoice says size 5 but the tag attached to the ring itslef says "6" (?) 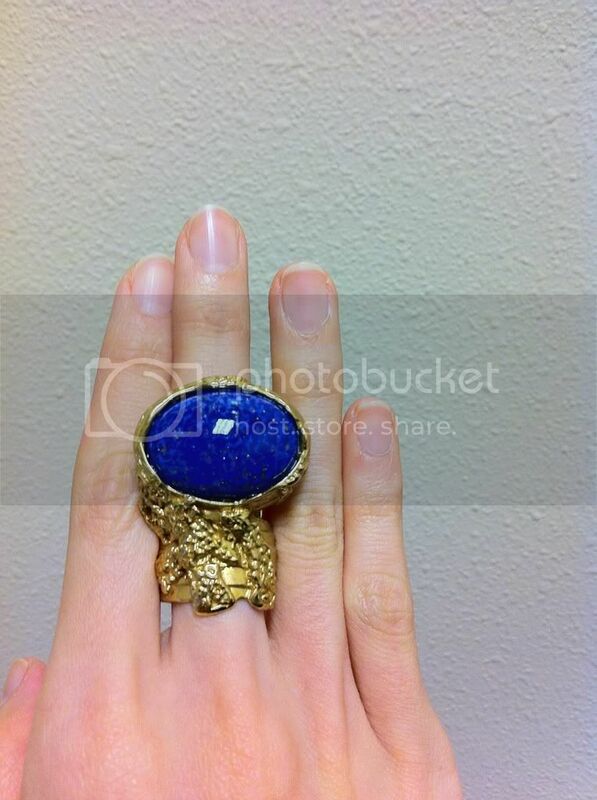 It fits though that's what it matters lol I plan to wear it on my right middle finger! They arrived wonderfully packaged and they even sent me a nice black tap measurer in a little pouch as a "welcome" gift. How sweet! !